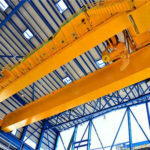 Indoor overhead cranes are a kind of overhead crane which is used indoors. Indoor bridge cranes are widely applied in the warehouse and factory to lift the heavy goods. It will highly increase the lifting rates of goods in heavyweight and make more profit. 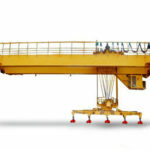 Indoor cranes are famous for wide applications and practical function. What’s more, it is designed and produced according to the requirements of customers so that the crane can meet the actual needs. Indoor cranes provide customers with an ideal solution in the transportation of goods or something heavy in the warehouse and workshop. Indoor overhead cranes are designed especially for lifting goods indoor which can save the space and reduce the cost of the building. Our company can supply indoor overhead cranes in reliable quality and reasonable quality. However, we are sure that our machine is cost effective and high performance. The certificates and good reputations we have gained prove that our company has strength and power to provide customers with reliable quality machines. Single girder indoor cranes can be supplied in our company in high quality. There is a range of cranes in our factories. For example, LD series indoor cranes are supplied in low cost and simple structure and they are widely used in the warehouses, factories and maintenance sites. LDY series indoor crane is designed for the foundry sites so that it adopts the special materials in every component to stand the hot environment. European standard indoor bridge cranes have good quality and beautiful appearance. It is the best machine in our company for its compact structure, light dead weight and European standard wired rope hoist. 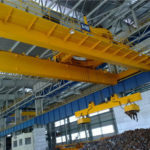 Double girder indoor cranes in our company have various types and almost all of them are heavy duty overhead cranes which can lift the goods in extremely heavy weight. For example, LH series cranes are supplied which this series indoor crane price is low. 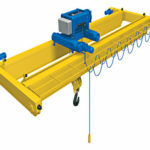 Indoor cranes with European standard hoist are designed in modular. This series machine is able to save the space and the cost on the building because of the light dead weight and smart structure. What’s more, it is widely used in the warehouse, factory and other occasions especially in the places where the high precision is needed. Our company also supplies some machines on other types. If you are interested in it, please send an email to us and you will get a reply very soon. First of all, Weihua overhead cranes are of reliable quality. 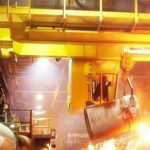 All of our indoor overhead cranes adopt advanced technology, and our company has experienced engineers who are responsible for the design and installation of the machine. 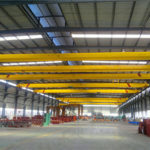 Secondly, cranes indoor in our company have a reasonable price. On the one hand, it is cost-effective for long service time because of the high quality. On the other hand, the machine is made in our company, so the indoor cranes of us are factory price. Thirdly, Weihua cranes have excellent after-sales services so that customers can receive the best service if some troubles with our machine happen. Like the common overhead cranes, the indoor cranes are also composed of the girders, end carriages, controls, hoists and so on. If you want to know the detailed information, please send an email to us with no hesitation. Here is some basic information about the indoor door crane system components. 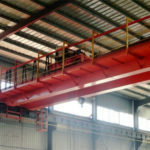 Girders: girders are the bridges to connect the two end carriages and they are the ways that the hoist can run. The good girders have a long service time. End carriages: End carriages are important parts to connect the beams or girders. They can be installed in the wall or cement columns so that it can save the cost on the building. Hoists: Hoists are indispensable equipment that can be used cooperating with the overhead crane or other machines. Hoists can be divided into several kinds: electric hoists, cable hoists and so on. We can supply proper hoist to customers according to the actual requirements of customers. Controls: Controls are the core of the indoor overhead cranes so that it is necessary to be equipped in good quality. Generally speaking, indoor crane in our company can be operated by these ways: ground wired handle, ground wireless remote control, and cab operation. You can choose a suitable operating method according to your business. 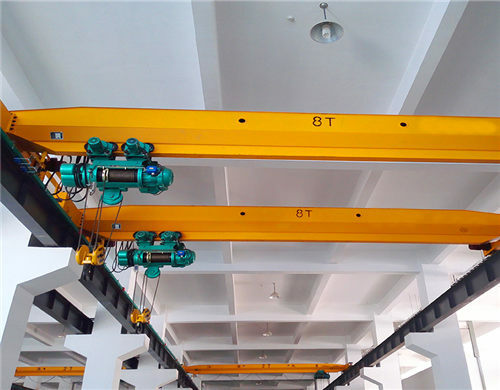 Other than the components above, the other indoor crane parts are selected through careful checking such as the cable or rope in the hoist and the steel materials in the girder. Indoor crane training: All of the workers who operate the indoor crane should be trained professionally in order to finish the lifting task safely and effectively. 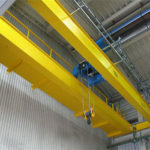 Indoor crane safety training: Indoor crane safety training is also important to the operators. It will increase the awareness of the workers and reduce the happening of the unexpected accidents. Please make sure that the lifting load is under the maximum load capacity in order to avoid unnecessary accidents. Even though our machine is equipped with the overload protective device, you had better control it under the maximum load capacity. When you operate the indoor crane, please adopt the emergent action to make sure the indoor cranes are safe and increase the loss if something happens. Please ensure that all controllers are in the “off” position before closing the main switch. This is a simple and important operating step in order that the indoor crane machine has longer service time. 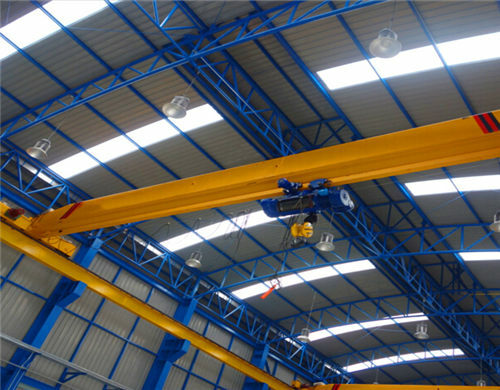 There are also some detailed information about indoor overhead cranes, please feel free to send an email to us if you are interested in the crane indoor. 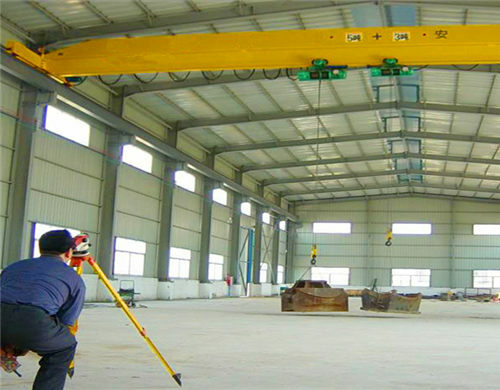 Henan Weihua Heavy Machine Co., Ltd is a professional overhead crane manufacturer which is located in China. Our company is powerful in the overhead crane innovation and manufacturing and customers can receive the crane machines with high technology content. On the one hand, our engineers and workers are always prone to innovating in the process of working so that they have dealt with many shortcomings in the overhead crane machine. On the other hand, our machine is in good quality because our crane machine adopts the world advanced technology so that you can choose the ideal crane machine according to your actual needs. The products in our company have received a number of certificates both at home and abroad so that it has been tested by the authoritative agency such as ISO in the world and certificates of registration in China. All in all, it is unnecessary to worry about the quality of our products and we promise that customers can receive a high-quality machine at the best price. All in all, please send an email to us if you want to know more about our crane machine. We will give you a reply with the ideal solution as soon as possible.